There are Windows PCs and then there are Windows Premium Collection laptops. 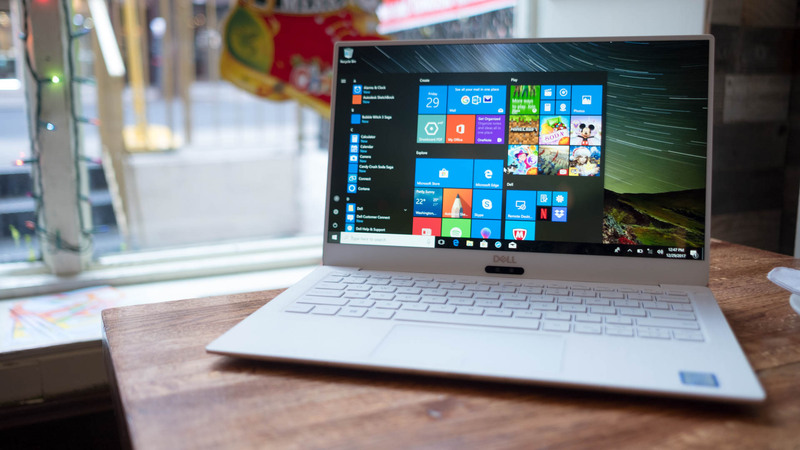 These are the best of the best when it comes to Windows, meaning you can have a slimmer and better looking laptop that also runs faster and offers more extras than anything else on the market right now. That means you can have a machine at your side that's not only reliably powerful for any task, but also smart connected to let you start a project on your computer and carry on working using your phone. Some of the biggest names in computing are leading the Windows Premium Collection evolution with Microsoft, Dell, HP and Lenovo onboard, to name a few. The result is laptops with Solid State Drives (SSDs) which can perform faster, save on battery life and processing power. That shouldn't be an issue though as these laptops also run on the latest powerful Intel 8th-gen processors for super speeds and excellent multi-tasking capabilities. There are plenty more super-powers these cut-above-the-rest laptops offer too – so what makes these computers better than the rest? The first thing you'll notice about the Premium Collection is that they look better than other laptops, thanks to a far more sleek design. That not only means a more slender, lightweight and portable build but also a better looking finish. The best smartphones out there leading the way right now have done away with screen bezels, and so too have these top-end laptops. That means a better looking display that offers far more screen size for the room taken up on your laptop. That's not all though, as the advantages go far deeper. The SSD, as opposed to normal spinning disc drives, can store information directly onto microchips. That means they don't need to spin up a physical drive and so can save on power, physical space and noise. In a laptop that means you get much faster start-ups when powering on your machine and then everything runs faster when in use. So from running multiple tabs in a web browser to opening several apps at once, this type of drive can handle your varying task threads to offer a response that can actually keep up with you. It also means your data is more secure, as the chance of failure is far lower than on a standard drive. Plus these are lighter, helping to make your laptop more portable. Should you drop the machine you have less worry as these drives won't damage easily, making your data safe. The latest HP Spectre x360 convertible laptop is a great example of this as it uses the new M.2 SSD with a whopping 256GB storage. This is not only far faster than normal drives, but is actually quicker than other SSDs as it can squeeze even more speed out of the PCI Express for instant response times, whatever you're doing. The stunning style, form factor and good looks of this machine are just a great bonus. Intel is fast reaching a stage where its processors are so fast it's tough to make them quicker, yet the 8th-gen Intel processor does exactly that, leaving the older processors lagging behind. In fact there's a hefty 40% boost in speed in the current chips over the previous generation, so it really pays to have the latest CPU. From gaming to video editing, the Intel processing power is enough to chew through anything you throw at it. Best of all this can handle all your tasks at the same time, meaning a multi-tasking experience that not only goes as fast as you but actually helps you work even faster. Then when you're all done – early – this has the power to let you enjoy high-res gaming too. The Dell XPS 13 is a great example of this power as it offers a super sleek design that still manages to deliver all the grunt you might need thanks to an Intel i7 coupled with a hefty 8GB of RAM. The result is stunning gaming and editing abilities that look tip-top on the 13.3-inch Full HD InfinityEdge screen which really cuts back on those old fashioned bezels you see on many laptops. While a laptop means you can take you work or games with you, there are times when you can't dig out a laptop. This is where it can help to use your phone and Microsoft has thought of that. As a result you can use Windows in conjunction with your iPhone or Android handset so you can start a document, for example, on your laptop and carry on working using your phone. Or vice versa – ideal for when you have a great idea on the train and need to get started right away but you're standing and can't get to the laptop. Or what about when you're on your laptop and want to send a picture that's on your smartphone? With smart syncing you're able to access all your phone's files, without the need to send them across over email. So snapping and sending a pic in the body of a message stored on your laptop is finally easy. The addition of stylus pens isn't new but the inclusion of them on a far deeper level in Windows software is thanks to the super responsive Windows Ink. Now there's so much you can do using a digital pen from signing documents on your machine to annotating and even drawing. 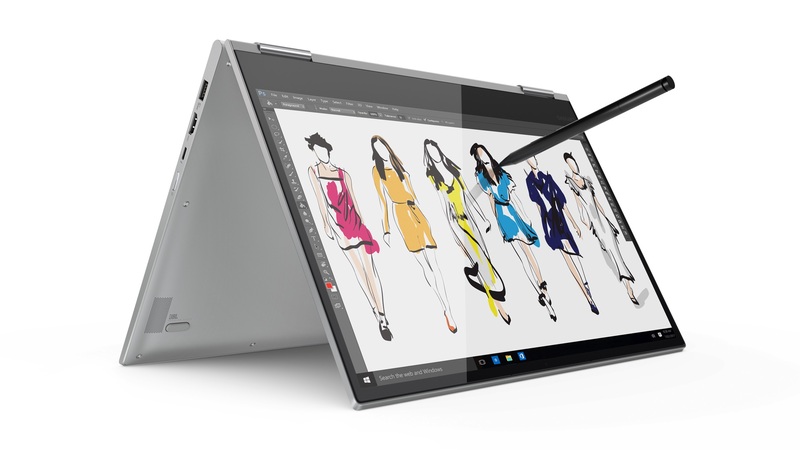 Super sensitivity on stylus and screen combinations, like on the Lenovo Yoga 730 convertible laptop, means you can prop this up and work on design drawings just like working on an easel, wherever you are. The Full HD 13.3-inch display and massive 512GB hard drive also make this ideal as a mobile platform for any design or editing projects that benefit from a digital pen. Windows has a huge selection of apps that mean no matter what you need to do your machine will be able to offer a solution. Now that can mean a more instant result than ever, thanks to smart voice assistance from Microsoft's Cortana artificial assistant. This AI wonder comes built into the Windows interface so when using a laptop like Microsoft's own Surface Laptop 2, you can use your voice to quickly access what you're looking for. So no more tapping and clicking as you dive through menus and folders to find what you're after. This should result in a faster working experience that takes advantage of the machine's Intel Core i5 and 8GB of RAM super-speeds.